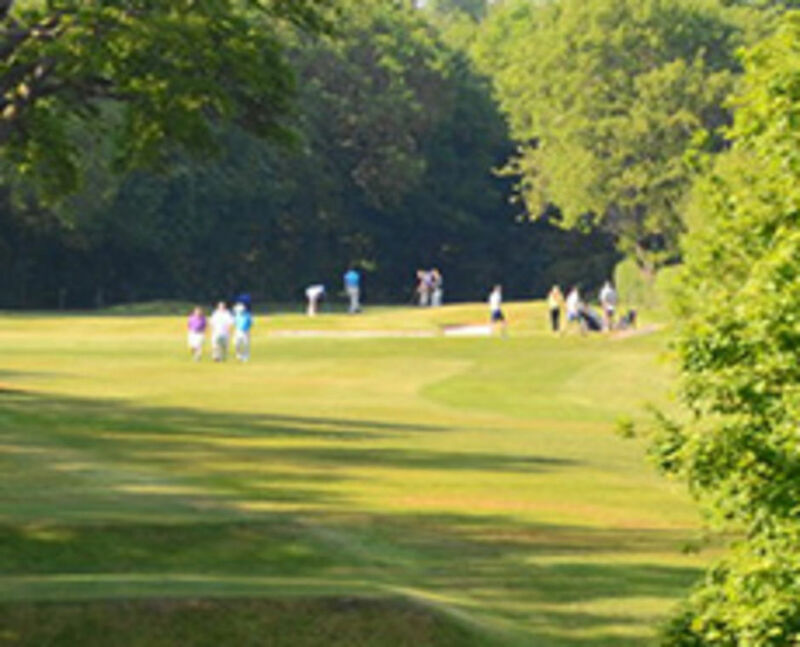 Wigan Golf Club, Arley Hall. As we look forward to improving weather following a further wet winter, it is useful to reflect on the winter's work and provide some ideas on the planned work this season. In October the white 3rd tee was enlarged to with paths for the 3rd and 5th remodeled. Drainage projects completed on the 1st, 3rd and 11th, plus the excavation of the ditch on the 16th hole, which helps drain the 8th, 16th, 17th and 7th holes and the compound. A new hexagon path was created on the 8th hole to help the flow of play and ensure we met with H&S requirements. Tree work has started to shape the plantations and we have lifted many lower branches across the course. The new trees planted last year are starting to establish themselves and should start to provide the natural hazards over the next few years. Working in conjunction with our agronomists, STRI, we continue to undertake work on the course to enhance the playing surface (scarifying, verti-draining, tining, coring plus heavy use of sand top-dressing). This has allowed the greens to be in use throughout the winter and we have witnessed an improving playing surface. In the Autumn we engaged the services of an Environmental specialist. His reports will form our sustainable focus over the forthcoming years. We have commenced work by the removal on non-native trees and shrubs, plus grasses near the 11th tee. We have encouraged wildlife over recent years and are blessed by being adjoined by woodlands. Looking forward through the season, a further 140 tonnes of sand will be applied to the greens via three main applications plus regular top-dressing. We have undertaken the early season hollow-core work and top-dressing, with the next being in June. In June we will core and tine then apply 30 tonnes of sand – the greens should take just a week to fully recover. During the season we will also be scarifying the fairways and bring in contractors to undertake Koro work on the greens and verti-drain the fairways. All this improves surface quality and drainage and works in conjunction with the specific drainage projects around the course. We will be asking for volunteers to help with the repairing of divots on the fairways through the season and your support would be appreciated. Please liaise with the Head Green Keeper in this respect. We hope you enjoy the course, surrounds and work and would ask that you repair pitch marks and divots. The usual monthly bulletins will detail ongoing course work. The Green staff and Committee.